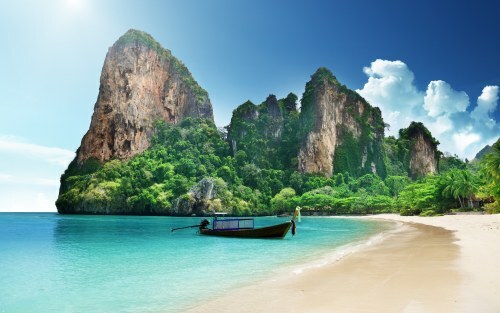 China Southern has dropped the price of their May and early June flights from Vancouver to Bangkok, Thailand down to $529 CAD roundtrip including taxes. China Southern is actually a pretty good airline, with a 4 star rating. Most airlines based out of mainland China are 3 star airlines. You can also find similar prices from Vancouver to Ho Chi Minh City, Vietnam (SGN) on similar dates. Vancouver to Kuala Lumpur, Malaysia (KUL) is also available, but the flights have nearly a full day layover in Guangzhou. You can also fly into one city, and home from another, for the same price (see instructions below). May 22, 23 to Jun 12 -- new! You can also fly into one city, and home from another, for the same price. For example, fly from Vancouver to Bangkok, Thailand and then fly home from Ho Chi Minh City, Vietnam - for a total price of $528 CAD roundtrip. 2. Select 'Multi-City' as your type of flight search. On Momondo, click on Trip Type: below the origin input box, to change it to Multi-City. Use start and end dates from the list of regular roundtrip dates above. Of course, this still leaves you with needing a way to get from Thailand to Vietnam. One way flights from Bangkok to Ho Chi Minh City are very cheap, ranging from $55 to $75 CAD on AirAsia or JetStar. You can also fly into Bangkok, Thailand and then home from Kuala Lumpur, Malaysia. Doing this, there is no overnight layover in China like there is for the regular roundtrip flight from Vancouver to Kuala Lumpur. One way flights from Bangkok to Kuala Lumpur are also cheap ($50-$60 CAD). Update 5/9 - These are back again today. May 30, 31 to Jun 10 -- new! Jun 1, 2 to Jun 10 -- new! 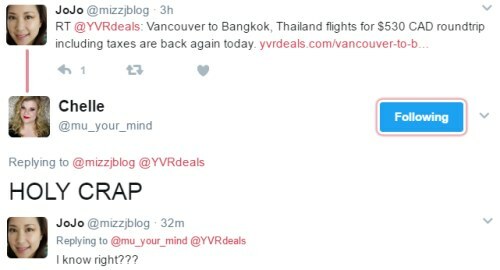 vancouver, yvr, flight deals, asia, china southern, bangkok, thailand, bkk, southeast asia, ho chi minh city, sgn and vietnam. 3 Responses to "Vancouver to Bangkok, Thailand - $529 CAD roundtrip including taxes | Vietnam and Malaysia also available"
That's an amazingly low rate, Chris, thanks! Wow this is very cheap! Yes, Hainan is the other exception for higher rated China-based airlines.. China Airlines is also rated as a 4 star, although they are actually based out of Taiwan.